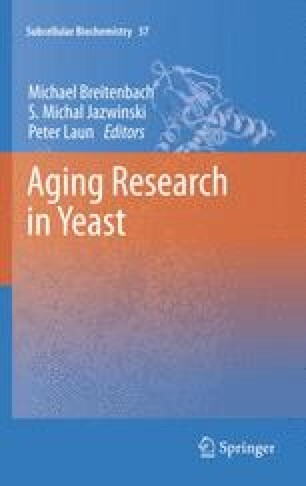 In this chapter, we argue that with careful attention to cell types in stationary-phase cultures of the yeast, S. cerevisiae provide an excellent model system for aging studies and hold much promise in pinpointing the set of causal genes and mechanisms driving aging. Importantly, a more detailed understanding of aging in this single celled organism will also shed light on aging in tissue-complex model organisms such as C. elegans and D. melanogaster. We feel strongly that the relationship between aging in yeast and tissue-complex organisms has been obscured by failure to notice the heterogeneity of stationary-phase cultures and the processes by which distinct cell types arise in these cultures. Although several studies have used yeast stationary-phase cultures for chronological aging, the majority of these studies have assumed that cultures in stationary phase are homogeneously composed of a single cell type. However, genome-scale analyses of yeast stationary-phase cultures have identified two major cell fractions: quiescent and non-quiescent, which we discuss in detail in this chapter. We review evidence that cell populations isolated from these cultures exhibit population-specific phenotypes spanning a range of metabolic and physiological processes including reproductive capacity, apoptosis, differences in metabolic activities, genetic hyper-mutability, and stress responses. The identification, in S. cerevisiae, of multiple sub-populations having differentiated physiological attributes relevant to aging offers an unprecedented opportunity. This opportunity to deeply understand yeast cellular (and population) aging programs will, also, give insight into genomic and metabolic processes in tissue-complex organism, as well as stem cell biology and the origins of differentiation. We would like to thank all the people who have helped us think about this; Frank Madeo for reviewing the manuscript; and Santos Salinas-Contreras for helping with the figures. This work was funded by a grant from NSF: MCB0645854. Sandia is a multiprogram laboratory operated by Sandia Corporation, a Lockheed Martin Company, for the United States Department of Energy’s National Nuclear Security Administration under Contract DE-AC04-94AL85000.